Pick your favorite Quencher and use the stickers to bring them to life & add water to wake 'em up! 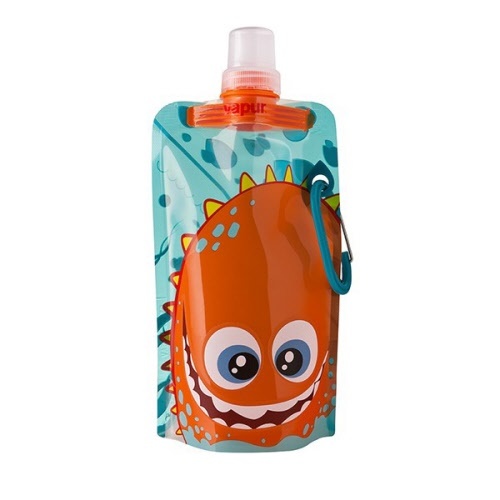 These critters love to travel, so take your water-filled friend wherever you go. Great for you and the planet! Vapur® Quenchers are here to keep you happy, healthy and hydrated while giving waste the boot. Each lovable little Quencher comes with 3 sticker sheets of facial features and add-ons. Customize your Quencher, fill it, freeze it, pack it in your lunch and kiss thirst goodbye! 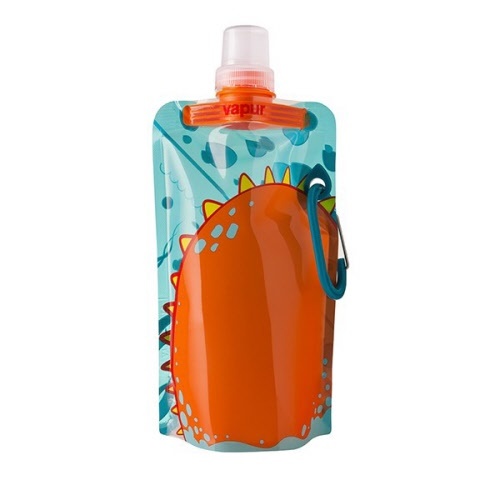 The Vapur Quencher stands upright when full and can be rolled, folded or flattened when empty - easily fitting into pockets, school bags, purses or backpacks. 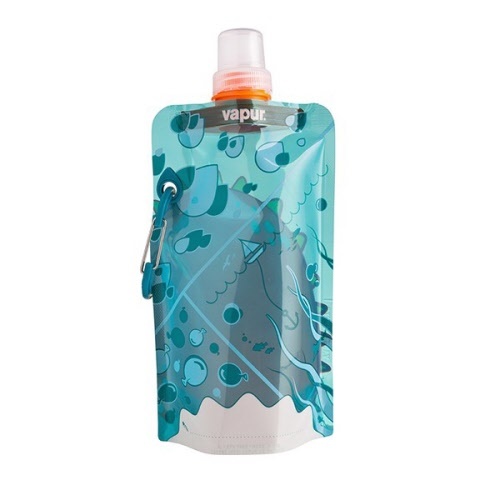 It is the ultimate foldable, reusable water bottle designed for convenient on-the-go use. 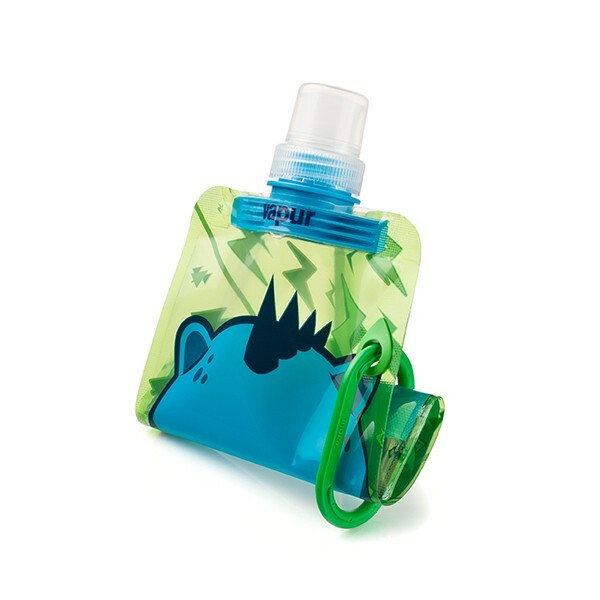 Reusable and Safe - Ultra-durable, BPA-free with FDA-approved polyethylene inner-liner (odor, taste and stain resistant). Washable - Easy to clean! Top-rack dishwasher safe or by hand. Air dry as needed. Freezable - Can be frozen to keep beverages cold. Identifiable - Writable area on back for easy identification. Made in the USA. - watch out for inferior imitations. Look for the Vapur logo. "The Vapur Anti-Bottle is dishwasher safe and cleans easily on the top rack of most dishwashers. First, remove the cap and carabiner, blow a little air into the bottle to inflate, then simply turn it upside down and insert the spout over the prongs on the top rack of your dishwasher. Run your dishwasher and, once that load is done, let your Anti-Bottle air dry. It’s that easy! If you put any liquid other than water in your Anti-Bottle, we recommend that you hand wash, using a few drops of dish soap and a bottle brush to completely remove any residue"
3. Peel the sticker from the sheet & apply them to your Quencher! This allows you to move your stickers around before the solution dries. 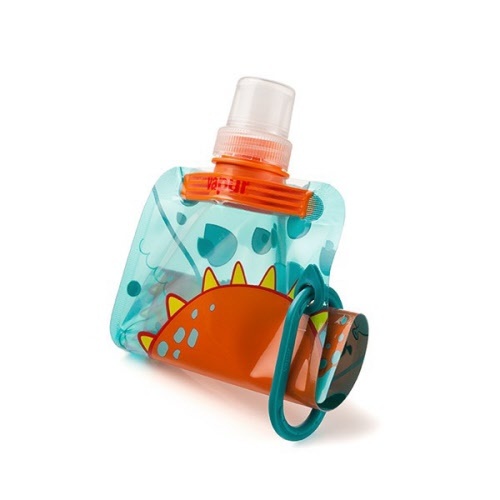 Pat your Anti-Bottle dry once the sticker is in the right position and voila! The sticker will dry & your Quencher will be ready to use! Psst! Anti-Bottles & Quencher stickers are dishwasher safe!